The colourful and culturally rich Amritsar is a delight to every traveller. However, in summers with the temperatures shooting through the roof, it’s a legitimate struggle to enjoy outdoors. A great idea is to escape to the hills in the neighbouring state of Himachal Pradesh. For a rather relaxed getaway, you can pick these places on your next short trip. Perhaps one of the most scenic and serene of all hill stations, Dharmshala has a strong Tibetan influence, and is the base of Dalai Lama in India. Nestled in the Dhauladhar Range of Kangra Valley in Himachal Pradesh, a quick getaway here will leave you feeling fresh and rejuvenated. You can club it with Mcleod Ganj, a couple of kilometres from Dharamshala. Located on the banks of river Parvati, Manikaran is known for its hot sulphur springs. A dip in the water from the springs is said to have healing properties. While the place attracts hordes of Hindu and Sikh pilgrims, that doesn’t camouflage the attractions it has to offer. Camping is must-do when in Manikaran. Malana, considered as one of the oldest democracies in the world, is a village in Kullu Valley perched at a height of 3000m. If you’re looking for unadulterated peace, this place is your answer. Offering gorgeous views of Deo Tibba and Chandrakhani Peaks, a trek from Jari to Malana is highly recommended. From the stunning Rohtang Pass to the gurgling thermal springs; Kullu-Manali is a traveller’s paradise. What’s better than the picturesque views of snow-clad mountains, river valleys and a laid-back vibe on a relaxing getaway. Whether you’re a nature lover or an adventure junkie, Kullu-Manali must be on your list. 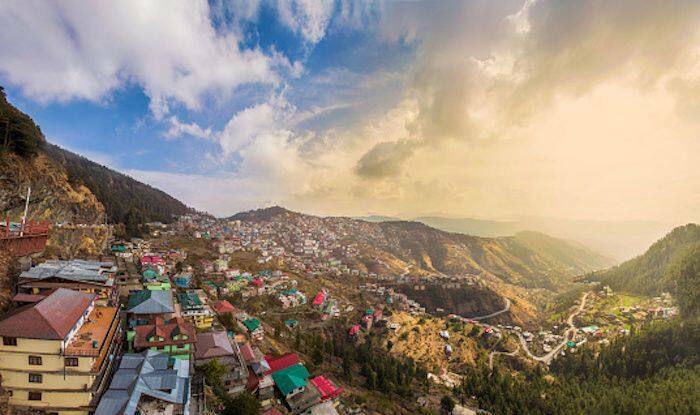 From museums with an old world charm, Gothic churches and colonial lodges of the bygone era, to heritage hotels and a bustling mall, time spent in Shimla is always special. It appeals to everyone from a history buff to a shopaholic.